WHAT: City-owned riverfront, urban tiki bar. 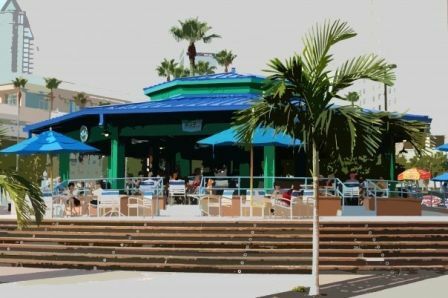 The City of Tampa has acknowledged that parks alone aren’t going to bring visitors to the Riverwalk – but a bar will. WHEN (To go): Anytime you want to feel like you are on vacation. One of the perks of living in Tampa is having access to a vacation vibe anytime you feel like it. So indulge in your getaway mindset and hit up the Sail Pavilion for a fruity cocktail, live music and island attitude. WHY: Because you shouldn’t have to drive to St. Pete to enjoy a drink by the water. WHO (To Take With You): Your dog. You leave your pooch home all day. Why should you leave him all night? Every inch of the Sail Pavilion is outside so bring Fido and share your night out.